Selected Villas for rent near Bentota Beach (Sri Lanka) - Contact us now! The golden, sandy shores and turquoise waters of Bentota Beach welcome villa travellers seeking a glorious tropical vacation! 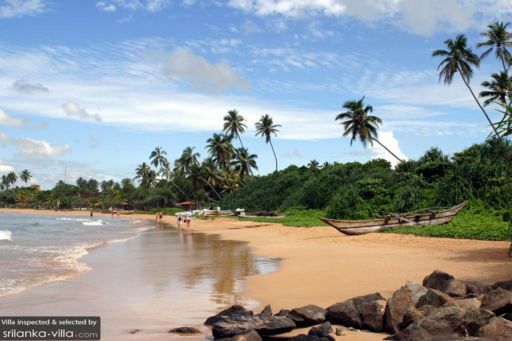 The waters of Bentota serves as a good spot for surfing. A string of restaurants and bars dotted along the coast makes it convenient for beach-goers to grab a bite or drink at any time of the day.